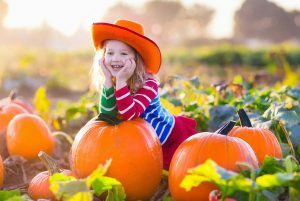 Grab A Pumpkin and Enjoy This Pumpkin Fun For Everyone! Fall has arrived and this is the season for pumpkins! This classic gourd is a favorite for many but has gained in popularity over the past few years with the introduction of pumpkins flavoring in an array of things. But what can you do with the actual pumpkin itself (aside from making a pie or setting them out on your front porch)? Here are two ideas for you and your family to fully enjoy this amazing fall treat! This is a great use for a carved or uncarved pumpkin, and anything that adds a little natural beauty to the yard is a win to us. Head down to your local nursery, pick up some annuals, and use your pumpkin as the planter! If your pumpkin is uncarved, cut off the top and remove the seeds, guts and flesh from inside. Set them aside and save for later (if you have a carved pumpkin, skip this step). Simply pack some potting soil into your pumpkin until it is about one-third full. If your pumpkin is carved, you may need to do some extra packing to keep the soil from falling out. Place your plant into the pumpkin, and fill it out with more potting soil. Depending on where you live, a pumpkin you’d otherwise throw away could be a tasty snack for a furry or feathery neighbor. Old pumpkins are the perfect food for deer, and any pumpkin seeds you don’t want to toast up for yourself will make a yummy treat for birds.